What a day. The poor mercury in the thermometer must be tired from climbing sooo much. 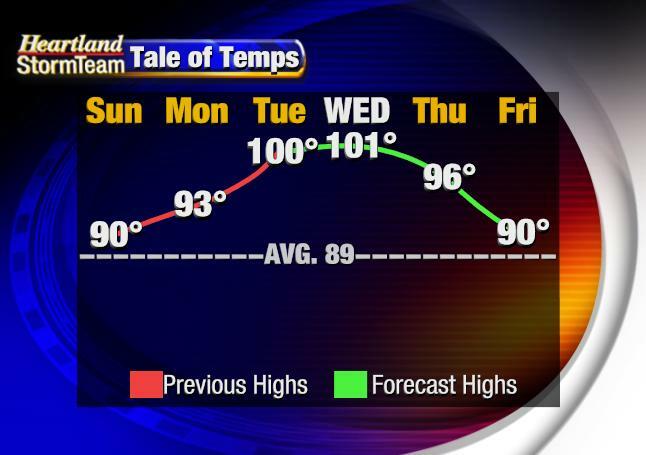 High temperatures climbed in to the upper 90°'s to lower 100°s. 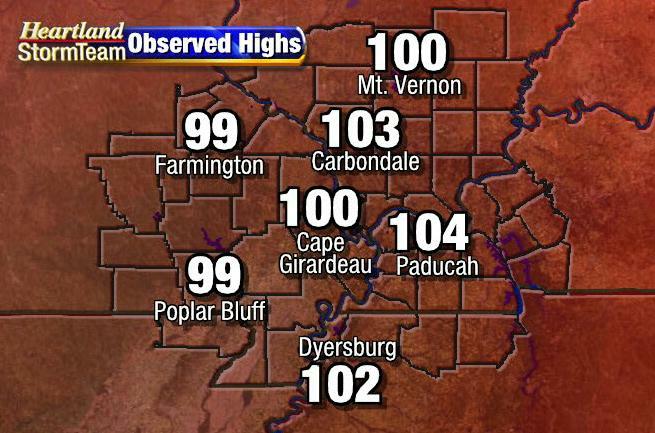 Notable was Paducah, Kentucky's 104° which tied Paducah's record high. It was previously set August 3, 1947. What is amazing about today's high temperatures is the fact we were able to hit numbers that high with the amount of humidity we had in the atmosphere. In an earlier post I mentioned that moist air doesn't like to get to high numbers like this. It usually doesn't, but it did today. Dew points at times today got as high as the lower 80°'s which is about as high as you will ever see them. 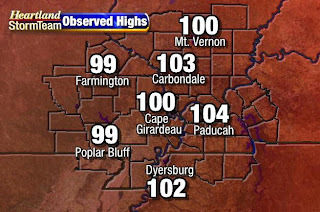 The heat index at times was as high as 119°-123° in a few locations. All signs continue to point to a cold front moving towards the Heartland Wednesday. Ahead of the front, temperatures will climb another degree or two as compared to today. The reason? Compression of air as it slams in to the cold front. 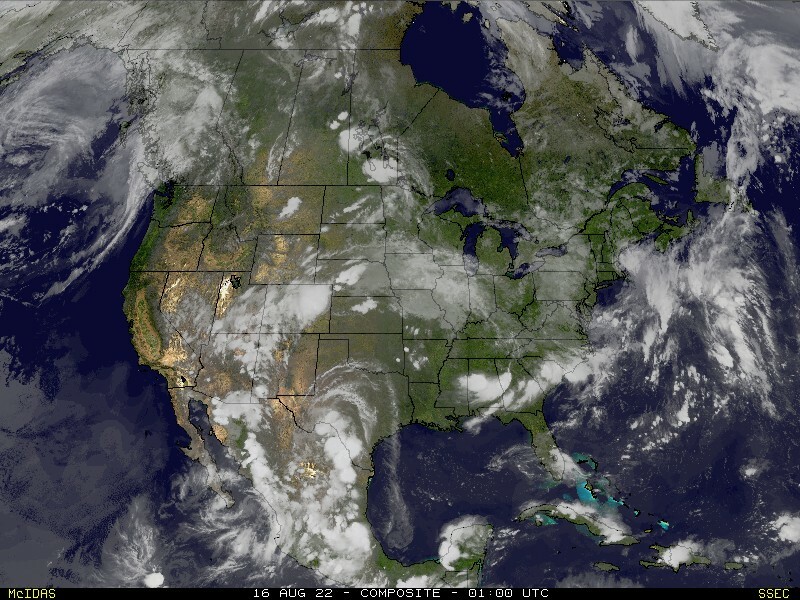 Models are also showing drier air moving in from the west. Dew points were only in the 60's across western Missouri and western Arkansas today. That is the air that should be moving in. I think it will make it in to southeast Missouri, but I am not confident in it moving across the Mississippi. Once the front passes, "cooler" air should move in taking high temperatures in to the upper 80° to around 90°.